About a week ago, my wife Laura, recommended a book that I might like to read and that would dovetail nicely with this blog. 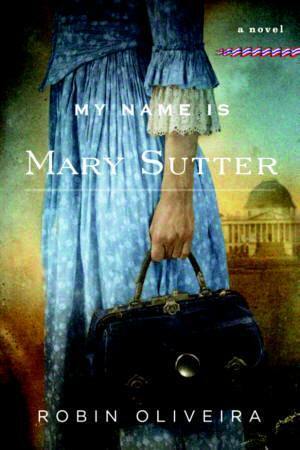 The book is titled; "My Name is Mary Sutter: A Novel", by Robin Oliveira, and was one she had read earlier in the year. In general, Laura and I enjoy different types and styles of books. Her...dramas, historical novels, and fun reads....me...history, sci-fi and the occasional literature in order to assuage my embarrassment over having read Cliff's Notes all through high school and college. So, I was a little nervous about taking up one of "her" books to read. I must say that I was very pleasantly surprised at how much I loved this book! For what it's worth, I gave it 4 out of 5 stars...where 5 stars are reserved for classics and my sci-fi favorites. The book is centered on the life of a young (20 year old) woman, Mary Sutter, who a wealthy northerner during the time just prior and during the Civil War. She lives with her Mother, twin sister and brother with the father having just died prior to the start of the book. Mary's mother is a midwife and Mary grew to love the medical field through support to her mother's midwifery. After becoming an acknowledged midwife of her own, Mary's single desire in life is to become a medical doctor...specifically a surgeon...in a time where women were not welcome in that profession. Many attempts at both medical school applications and internships with physicians failed and a frustrated Mary decides to answer the call to become a nurse during the onset of the Civil War. The story takes the reader through the horrors that was the medical field as well as the hospital situation at that time. From the battle of Bull Run through Antietam, Mary becomes an accomplished physician in her own right. A story well told and gripping. Laura hit the nail on the head with this one. With JWD's wounding at the Second Battle of Bull Run, I was able to "live" the experience he must have had, being wounded in the leg...being taken prisoner...being parole to Georgetown College Hospital and ultimate transferred to Philadelphia's Cherry Street Hospital and released. His total time from the wounding on August 30th, 1862 to his release in January 1862 was 5 months. I never really understood why it took so long. Now I know. As Oliveira describes in the book, if the wound didn't kill you...infection would. If infection didn't kill you...other disease would. If disease didn't kill you...starvation would. Quite amazing that JWD survived. Not surprisingly....it was also the reason for his short life.